Real in Quezon province is not exactly a surfer's paradise but for those who are looking for a cheap surfer's beach resort, this place would do. Located 145 km east of Manila, Real is the closest town (from Manila via the province of Rizal) that faces the Pacific Ocean. We took our chances at the Pacific Recreation Kamp. The place has its share of nipa-roofed four-post structures with the mandatory built-in bamboo benches and tables. 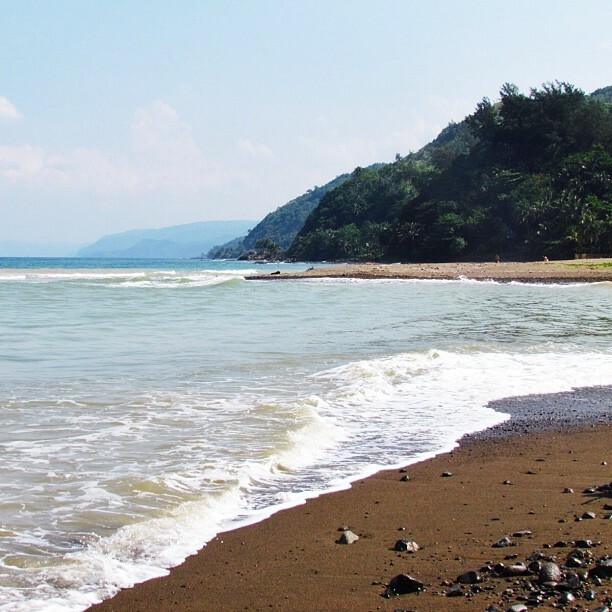 The beach is pebbly and is actually the exit point of a fresh-water river. The ocean is blue, fresh and sparkling, but if you are into lazing around the beach in your bikini, forget it. It's for surfing (beginners and the likes), skim boarding, paddling and long boarding. thanks for sharing this!we will drop by here when we come home!